In the presence of a horse’s gentle and curious nature, harsh criticisms, which make reclamation, feel painful, melt away and your heart opens. 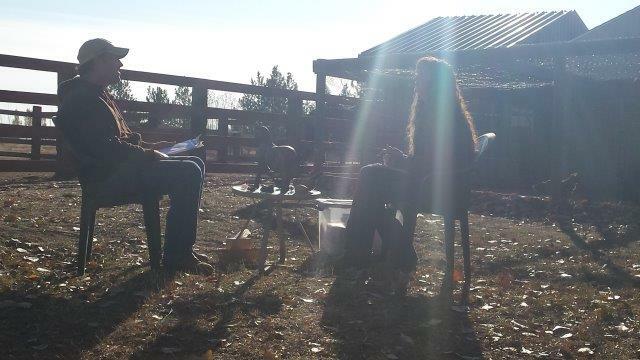 Healing With Horses creates powerful on-your-feet learning opportunities. You gain a deeper level of self-awareness building confidence and trust in yourself and others. Become more compassionate and truthful with yourself and others. Learn, at a deeper level, how to establish trust in relationships with your clients and co-workers. Enhance verbal and non-verbal skills. Renew a sense of energy for your life. For all their strength and power, horses connect with humans simply and honestly. In the world of horses, there is no judgment, no rumination over the past or concern for the future. There is just authenticity in the moment. This program helps you learn how to feel safe in your own skin, with your emotions, thoughts and knowing. In the presence of a horse’s gentle and curious nature, harsh criticisms, which make recovery feel painful, melt away and your heart opens. At the moment when a horse chooses to be with you, a peace-infused invigoration sends a clear message: when we are true to ourselves, we can trust ourselves. Through this gateway, we begin to find all that life has to offer, and the real journey begins. Compassion and truth telling with yourself and others. A deeper understanding of how to create relationships rooted in integrity.